The latest five products reviewed in PCWorld Downloads are a mixed bag. Some are excellent and some show the potential for excellence. Due to a closed beta and some steep prices, some are hard to obtain. Each of them is intriguing in its own way, and worth a look. Carbonite 5 is the same easy-to-use backup product, but new Home user pricing plans offer different features. Version 5 of Carbonite Home offers some new and possibly handy functionality in two new tiers of service. 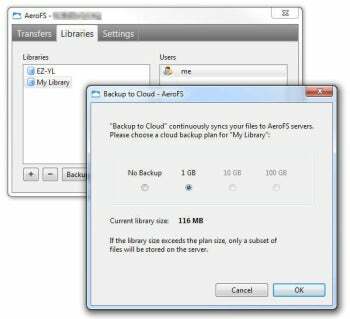 Otherwise, it remains the same affordable, easy-to-use, but sometimes restrictive online backup service we reviewed last year. Carbonite still offers its basic Home storage plan, though it's been bumped from $55 to $59 per year. 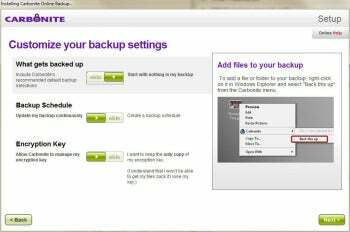 Carbonite Home offers unlimited storage, but no local backup--and by default, it will not automatically select video files and some other files nested within a folder. You are able to tunnel into the folder and select the files manually. Read the full review and download Carbonite 5 ($59, 15-day free trial). Fade In allows you to unleash your inner Christopher Nolan (or in my case, Ed Wood), providing a set of powerful, but straightforward, tools for screenwriting. Fade In is focused entirely on writing scripts, rather than that being a mode or template in a more general-purpose writing tool. I have only written a few short scripts professionally, but even that limited experience allows me to appreciate how intuitive and easy Fade In is to use. Read the full review and download Fade In ($50 introductory offer, free demo). AeroFS (currently in invitation-only beta) could be the sync program to give Dropbox a run for its money. For years now, Dropbox has been pretty much the gold standard of cloud-based file sync. Such a simple concept is bound to have plenty of competition, and indeed, the market is swamped with companies vying to sync files between your networked computers and other devices. I've tested several of these (most recently, SugarSync) and so far, have always come away disappointed. AeroFS promises to change that, and may give Dropbox a real run for its money. Currently in free but closed beta, AeroFS is open to the first two thousand PCWorld readers to use a special invitation code. Read the full review and (while you can) download the AeroFS beta (free code for first two thousand PCWorld readers, about thirty code uses remaining as of this writing). Read the full review and download Cloud9 IDE (free demo). You'll be hard-pressed to find a friendlier interface for audio recording than Studio One Artist offers. Studio One 2--I think I love you. Then again, I'm a usability freak, so when a company improves an already stellar interface such as the one Presonus delivered with the original Studio One Artist, I get warm and fuzzy. Also firing my ardor--the company actually listened to users and implemented a number of feature requests (not that some of them weren't fairly obvious). 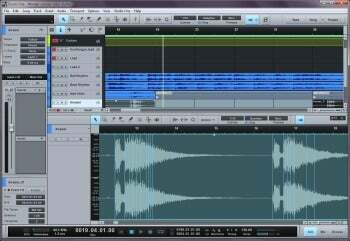 The program continues to set new standards for multi-track audio recording. f Presonus (and authors Wolfgang Kundrus and Matthias Juwan who also wrote Steinberg's Cubase and Nuendo) had done nothing other than add folder tracks, this would be a nice upgrade. Folder tracks are collapsible containers within which you place related MIDI and audio tracks, for example, all your vocal tracks. Collapse the folder track and the incorporated tracks are hidden until you need them again. Folder tracks make navigating your recording much easier. There are also greatly improved context menus so that now all related MIDI and audio functions are only a right-click away. New tools include a scrub (audition) tool and a bend tool (for the new transient detection features). Read the full review and download Studio One Artist ($149, 30-day free trial).